Are You or a Loved One Suffering from an Acquired Brain Injury? According to a recent study conducted by the Brain Injury Association of Canada (BIAC), more than 1.3 million Canadians are living with acquired brain injury (ABI), a condition that has become the number one cause of disability for people all over the world. Although this type of injury does not always result in long-term impairment, some common complications can include coma, seizures, cognitive problems, loss of motor function, and emotional and behavioural changes. Since June is National Brain Injury Awareness Month in Canada, the BIAC has organized a series of activities and events in order to educate Canadians about all aspects of ABI, including prevention, treatment, and care. Non-Traumatic ABI: The most common causes of non-traumatic ABI include stroke, hypoxia, brain aneurysm, brain tumour, prolonged exposure to toxic substances, alcohol/drug abuse, and meningitis or encephalitis resulting from viral, bacterial, fungal, or parasitic infections. Traumatic ABI: Traumatic ABI is often caused by road traffic accidents, sports injuries, falls, and other types of accidents. ABI can dramatically impact the life of an individual, and the family, based on the part of the brain affected, extent of the injury, and age of the person. Skill loss – Affecting balance, flexibility, strength, and endurance, ABI usually contributes to a significant decline in independent functioning and living. As a result, people with acquired brain injury become homebound and dependent on caregivers – two factors that lead to further deterioration in motor and cognitive functions. Due to physical weakness and poor judgment, especially in stressful situations, most seniors with ABI face an increased risk for recurrent, more severe injuries. Increased medical needs – Physical and mental conditioning gets harder to maintain as people age. Since brain injuries usually hinder a series of physical and mental activities, keeping seniors with ABI physically and mentally active can be very challenging. Memory problems, diminished acuity of senses causing perceptual issues, and medical conditions becoming increasingly complex are just a few elements that may prevent an older person with ABI not only from performing common household chores, but also from managing medication independently. Social isolation – Causing cognitive and neurological impairment possibly accompanied by personality and behavioural changes, acquired brain injury inevitably leads to social isolation. Medical advancements have led to more people surviving a serious brain injury. However, permanent damage to brain cells cannot be reversed or cured. In most cases, the survivor’s compliance with individual therapeutic plans is the only way to reduce the risk of complications and help the brain create new neural pathways so that the person can adapt to new experiences and learn new things. 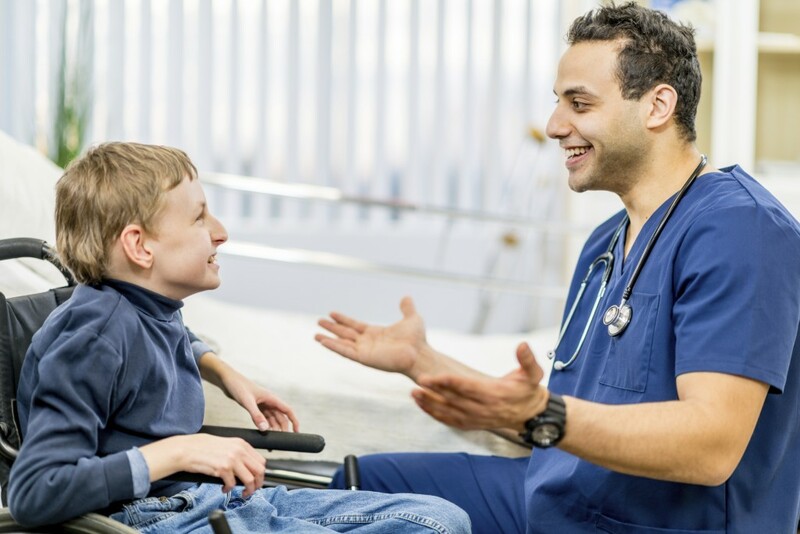 Most therapeutic plans include physiotherapy, occupational therapy, speech therapy, and other services, all of which can help restore, improve, and maintain motor function. Recovering from an acquired brain injury can be challenging for individuals of all ages. Contact Bayshore HealthCare’s rehabilitation team, who are ready to help one learn strategies to cope with and address problems resulting from ABI. Call us today at 1-855-581-4746 for more information.